If you have been watching the news over the past year, you have no doubt heard about the controversy surrounding online platforms and user privacy. Whether it’s Facebook, Google, Instagram, or Twitter, many free platforms require users to surrender their email addresses, as well as personal information and access to their friends, in order to utilize their services. User data and online behavior are extremely valuable to advertisers, as companies use this information to target their ads. 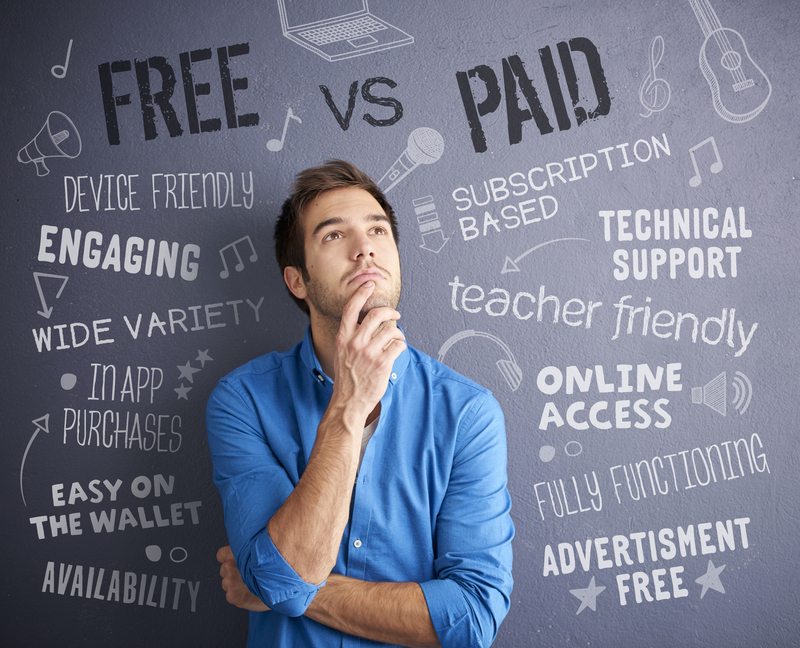 Websites and other platforms offering free services to their users still have operating costs, and without payment from the end consumer, they must generate their revenue elsewhere- often through the sale of highly-targeted ad space. When using free software that requires a user to enter an email address in order to create an account, special consideration must be given as to whether asking students to supply this information is in compliance with two very important federal laws concerning student privacy: the Children’s Online Privacy Protection Act (COPPA), and the Family Educational Rights and Privacy Act (FERPA). COPPA specifically protects the privacy and data of children under 13; FERPA, meanwhile, protects all students, and strictly limits what personal information school districts may disclose to a third party. A simple rule of thumb is that students under the age of 13 should not be required to supply their email address in order to use a website. The reason for this is that if they do supply their email address, as well as any personal information (name, address, date of birth, etc. ), they risk exposure to marketing efforts from that company, as well as others. Both of these federal laws require teachers to be mindful of the fact that asking students to supply any personal information to a company or website outside of the school district is fraught with risk, and can be downright dangerous. Talk to your school IT administrator for more information. Students over 13 may be able to use websites that require email addresses, but there are other issues to consider. Many free sites have open forums in which users engage in discussions about the software, their compositions, and anything else under the sun. Is that OK with your school privacy policies and/or Internet Acceptable Use policy? Are you comfortable with a student posting an assignment they created in class and having users of all ages from around the world critique their work? Additionally, some of these sites allow for some “colorful” language to be used throughout. In the free version of Soundation, for example, the names of some loops contain profanities and drug references. There is also a “Community” page where some of the song names would make anyone a little uneasy. There’s nothing more embarrassing while you’re teaching than to have a student call out a loop name that makes everyone in the class laugh (or blush). As with any resource you use with students, you should thoroughly review the website yourself to make sure that it is appropriate for use in your classroom. In addition, it is recommended that you obtain permission from either your IT person or your administrator prior to use. If any of this sounds scary or makes you want to avoid these tools altogether, you should strongly consider paying for the premium or educational versions. Many of these same companies have purpose-built educational versions offering safeguards against many of these pitfalls. The free versions of these sites are often targeted at the much larger consumer market- not the educational market- so the same protections aren't in place. On paid platforms, which are often created specifically for use in schools, students are not required to enter any personal information. As in the early days of music technology when versions of software were only compatible with specific computers, web-based and low-cost software often have limitations on the types of devices that they can be used effectively on. In Figure 1 below, I have provided an overview of the various devices commonly used in schools, complete with the pros and cons of each when using web-based and locally-installed software. In addition to the hardware devices, the operating systems also pose a significant challenge for developers when trying to make applications work on all platforms. It is quite common for applications to work well on some devices, but not on others. The most obvious example is GarageBand. Many music educators are frustrated that they cannot use this fantastic program with non-Apple devices. Many apps available in the Apple App Store simply do not have web-based or Android counterparts, and vice versa. When it comes to web-based and low-cost software, it is quite common for these technical limitations to hinder seamless integration into music instruction. Asking students to go home and use a website to complete a homework assignment is simply ineffective if some cannot access it on devices that they have access to at home. When considering web-based software, many of these programs work flawlessly on any device using a web browser application (Chrome preferred) unless more complex music making is desired, and especially if a microphone is needed. For example, Noteflight works beautifully using only the Chrome browser on an iPhone or iPad until you press the record button. The same is true for programs like Soundation and Soundtrap. To work around this issue, many developers create a parallel iOS app to provide users with all of the functionality available on a Chromebook or desktop computer. Some developers do not. For example, the new version of SmartMusic works on Chromebooks and iPads, but doesn’t work on iPhones (at least at the time of this printing). While Part 1 of this article does provide information on many of these types of applications, to avoid situations like this, it is always best to speak with someone at the company, or try to find more information online. It can be incredibly frustrating to design curriculum and instruction around these types of tools only to have your efforts thwarted by accessibility and functionality issues. Be informed before using any of these tools with your students. Perhaps the most important consideration when using web-based and low-cost software is how students will actually submit in their work for evaluation. It might not sound like a critical issue, but it most certainly is when you consider the impact of how much time it takes to access and grade their work. Perhaps the biggest downside to using free tools with your students is that the only way they can turn work in to you is often by attaching it to an email. Sounds easy, right? As soon as you start implementing these types of assignments and see your inbox fill up quickly with dozens, if not hundreds, of emails from students, you may change your tune. Let’s say you ask your students to compose an 8-measure melody using a locally-installed notation program like MuseScore. How do the students turn it in? They often export the file to their desktop, open an email and address it to you (hoping that they type your email address correctly), and attach the file (hoping that they attach the correct one). You then open your email and see 32 emails from the class you just taught - all with attachments. You then open each individual email, click on the attachment, download it (hoping to remember the location that you downloaded it to), and open it. If all goes perfectly well, you see the student work. Hurray! This process can take as long as a few minutes to complete. Multiply that by 32, and an hour has passed by the time you have finished grading the assignments. Do this with multiple classes each week, and your precious time quickly evaporates. The problem here is all about accessing student work. This process is almost always employed when you use the free versions of the software. Take, for example, the very popular free tools in MusicTheory.net. This website has crafted an ingenious way for teachers to assign students work, and for them to hand it in, using the exercise customizer (which creates a unique URL for the exercise) and a “code checker” that allows teachers to access student work. While ingenious, it does take a lot of time to access student work because they submit their code via email or text submission, which the teacher is then required to enter into the code checker area of the site. This process quickly encompasses an entire evening. Learning Management Systems (LMSs) were created to help streamline this process. Platforms like Google Classroom, Canvas, Schoology, and the MusicFirst Classroom make this process much easier. Though I am definitely biased, MusicFirst Classroom is the only comprehensive online classroom created specifically for music educators, and therefore takes into consideration the types of files that music students often submit, including audio and video recordings, notation files, images, and PDFs. Most LMSs were created for other subject areas, so music teachers have had to adapt them to suit their specific needs. What this means is that while it is possible for students to hand in recordings and other types of work created in software in an LMS like Google Classroom, it is much easier to open and assess those types of files within the MusicFirst Classroom. You can even click on a student recording and it will open in a small pop-up window so that you can quickly play it, listen to it, and assess it, all without ever leaving your gradebook. (Try doing that in Canvas, Schoology or Google Classroom!) When assessing large numbers of students, this interaction takes much less time, leaving you with more time to do things like teach. To take MusicFirst Classroom for a test drive, you can sign up for a free 30-day demo at https://www.musicfirst.com/request-demo. Hopefully, I have provided enough information for you to make an informed decision about incorporating web-based and locally-installed free and low-cost software into your teaching. My advice for any music teacher who is thinking of adopting new technology is to start small. Try out a website like incredibox.com as a class activity, inviting students up to the board to add to the composition, or post recommended links to sites like SightReadingFactory.com so that students can try things out at home. Purchase a single-user account to a program like Focus On Sound and use it while you are teaching. If you are using an LMS like Google Classroom, investigate ways that other music teachers are using it successfully. If you find a software title that you’d really like to use with your students, sign up for a free demo and “kick the tires”. You just might find the perfect tool to help you reinforce a concept that you are trying to get your students to understand. Don’t be afraid to ask for help from your students; if they are interested in music, you might find that they have probably used many of the sites already. Tutorials on how to use specific software titles are widely available on YouTube; you’ll be surprised how many people have taken the time to create them. If you have any questions or comments about issues that I have raised in these articles, please feel free to email me at jim@musicfirst.com.